CYBEX is bringing the Hausschwein to life! Download the Gamee app, available for iOS and Android, and play the new “Hausschwein Run” game. The sleek, yet playful Hausschwein comes alive in the palm of your hands and brings you into our world, where you can “Live your most fabulous Dream.” Play now! 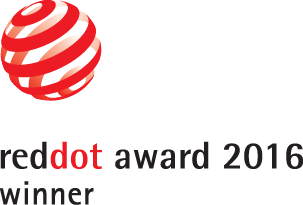 Hausschwein won the Red Dot Design Concept Award! For the first time, the booming child mobility brand CYBEX connects with the world of interior design. 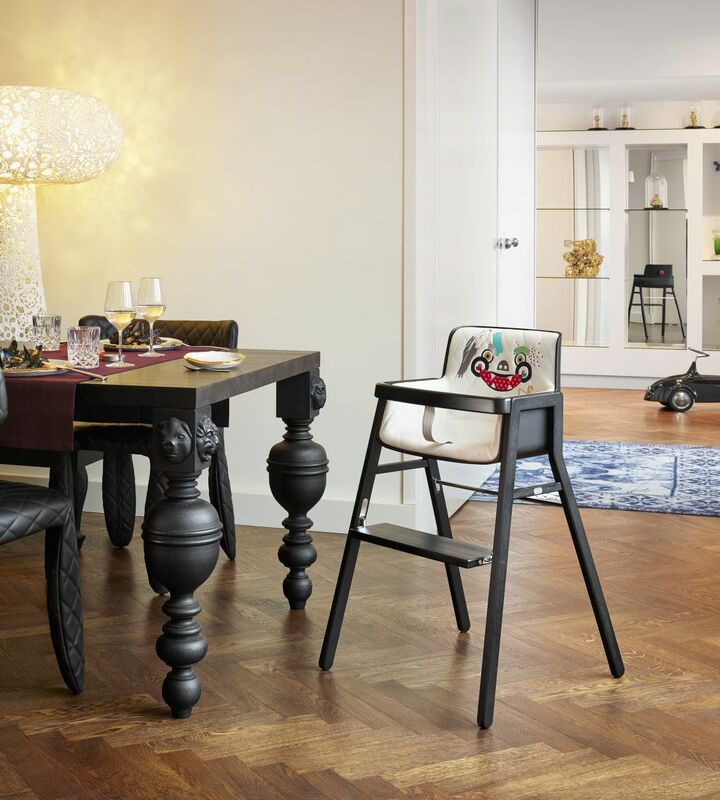 With the launch of a furniture and colorful accessory line that amongst others includes a high chair, everything is reimagined to fit seamlessly into the parents’ lifestyle. Leading this exciting collection is the internationally celebrated product and interior designer, Moooi owner, and industry rebel Marcel Wanders. The “Parents Collection” is sophisticated yet playful, allowing parents to continue their cultivated lives – even with little ones in tow. To go one step further, the new range also lets moms and dads pass on their creativity to the next generation through design-forward furniture that smoothly integrates, creating a dream environment in the home. The magic of the series lies in the nontraditional approach the collaborators bring to their respective fields: CYBEX founder Martin Pos and Marcel Wanders are both rebels, constantly in search of new ways of working off the beaten track against the established. After one fortuitous meeting, these kindred spirits saw that endless innovation was possible by developing a line of extraordinary products that are both functional and lots of fun. ‘These cunning creatures exemplify that with all the seriousness implied by staying true to CYBEX’s D.S.F Innovation Principle (distinctive Design, superior Safety, clever Functionality) – adding a bit of color and wit makes it complete,’ says Martin Pos. ‘Furniture for babies should be stylish but fun, contemporary and simple yet safe. We have created a beautiful collection of design pieces that fit so well into parents’ contemporary urban lifestyle that the arrival of a newborn does nothing to disrupt how the parents live,’ added Marcel Wanders. Marcel Wanders designs with passion, heart and provocation, earning him the moniker “Lady Gaga of design”. 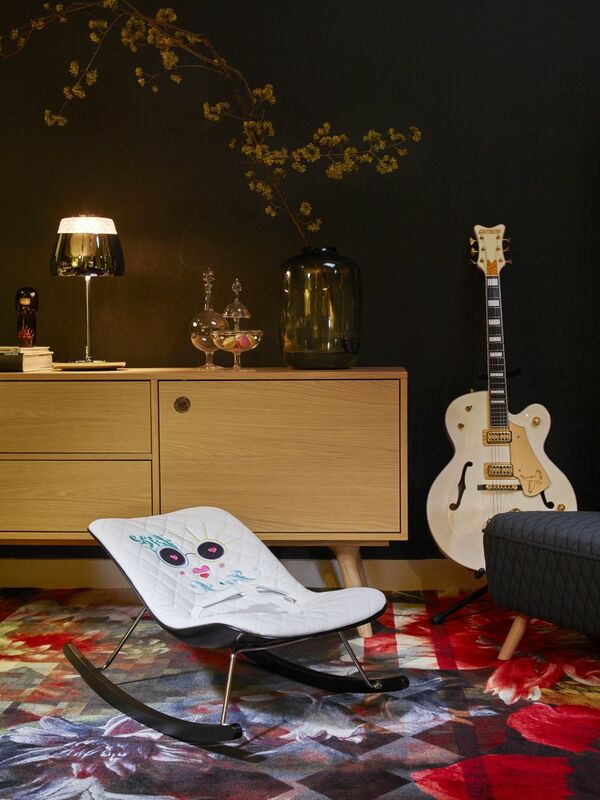 Given this nontraditional approach, it was only natural that CYBEX would partner with this icon and Moooi co-founder on the “Parents Collection” to enable urban families to ‘live their most fabulous dream’. For his first collaboration with CYBEX – and the company’s first foray into furniture – Wanders demonstrates that magic can happen when products merge perfectly into parents’ lives, yet have all the safety and functionality that children need. The tag line for this collabo­ration is ‘Living your most fabulous Dream’. What advice can you offer parents to realize their wishes and visions of familiy life? There's nothing more joyous than bringing a child into your relationship. Enriching and fulfilling, it is a dream that changes everything. And my purpose with CYBEX was to enable parents to maintain a little bit of their personal dream inside that dream of having a family. I wanted this collection to have a personality that would remind the parents that they still could maintain theirs. This collection was designed with parents in mind. Can you talk about the spirit behind that? Parents desired to have kids, but they don't want to lose what makes them who they are in the process. From this line of thinking came the notion that the collection can be designed for them instead of their children. We wanted feelings and style to fit seamlessly into the home they've already created. We made this collection to be fashionable and elegant. The furniture is playful and embraces the modern family sensibility that doesn't need to disappear just because you have children. Fashion designers are often asked, ‘What kind of woman, or man are you designing for?’ When you thought about this collection, what kind of parents were you designing for? People can often see themselves in the furnishings they place in their homes. Their lifestyle and sense of what makes them unique is solidified by their surroundings. I wanted to design for those kind of people who take a personal interest in everything from their clothing to music to furniture. This option is fun, bright, family-oriented and functional, but also cool and fitting to the world which they have been building. Monsters seem to be a recurring motif throughout the collection. Who do you imagine these little monsters to be? To avoid the expected, we steered away from butterflies and roses and thought of monsters instead. Inspired by the designer toys and manga figures you find in the East, we embraced their playful, funky cartoon nature and developed an entire collection of them. Caricatures are a big part of what I try to bring to many of the projects we design. These just fit so well with furniture and the boundless imagination of children. Design can be so serious, yet you’ve managed to infuse a lot of humor in the collection and your work in general. We try to make our lives and our objects lighthearted. We want the human spirit to be uplifted. That is what allows people to find connection and attach meaning to the work. Our goal is always to create an environment of love, live with passion and make our most exciting dreams come true. Humor allows this to happen. One subtle, yet clever detail in the collection’s design is a screw in the shape of a flower that is functional as well as playful. What other unexpected elements can be found throughout? Meeting safety requirements was one of our first priorities. But after that was taken care of, we were free to explore all types of ideas that could surprise. Eventually, we stumbled upon the wonderful idea of a hand puppet. We also considered how children play. And often that means toys find their way everywhere. However, play time isn't over until everything that was taken out is placed back in its original place. Therefore, we designed a container in the form of a “Hausschwein” as it’s called in German, the domestic pig. Like the rest of the collection is beautifully, stylish and functional. You have a daughter. Did having your own child change the way you approach your design practice? Having my daughter changed my life, but not my approach to design, really. In a very real way, you are still the person you were before becoming a parent. It's just a different type of responsibility. But that is why this collection is so important. It reminds all of us that our personal tastes and interests still have a place in parenthood. We can learn so much from children about creativity. Did you tap into this when you became a father? I’ve been an adult child for a long time. It was not something that I had to learn from my daughter. She has been a great joy all my life, and I’ve learned so many things from her. I think for many, the joy of having children comes from embracing imagination and freedom of thought. You’re talked about as being an anomaly in the design world, even earning the nickname the “Lady Gaga of Design”. What is it about you and your practice that’s different? I try to be a real designer. I try to make things which are interesting, new and different for humans because that’s the whole idea about design. If people want to compare me to someone like her, I suppose that is fine. I think in a way we are similar – breaking new ground, experimenting and challenging expectations and pushing boundaries. We are emotional beings. We’re subtle. We understand that life is more complicated than our brains allow us to think. I have been able to immerse people in a continual state of surprise. My goal is to offer multi-layered, sensory experiences to people all over the world. Why was CYBEX the right company to partner with on a children’s line? CYBEX is led by a visionary. And that mentality informs everything they do. More than making mass produced items, they choose to use imagination and intelligent design knowledge. They execute on the highest level which is important to me when collaborating with other creators. It means it will be an experience that is mutually beneficial. With CYBEX, you know your designs will be treated with the utmost care. What was it like to work with another visionary – CYBEX founder Martin Pos? He's not as much a rebel as he is a visionary who works to make the best possible products he can. CYBEX stands in the face of conventional wisdom and say they are going to push the limits, experiment and challenge the expected. Working together, we very much mirror each other as we desire to only make products at the highest level. Let your child’s imagination get carried away with this mountable storage domestic pig with removable nose. With an elegantly quilted pattern on its rump, this endearing hog is suited to the most fashionable of home environments. When play time comes to a close, the domestic pig’s hollow belly reveals an even greater purpose, storing toys until the next game starts. Every meal will be memorable on this modern, wood highchair. Carefully designed to give your little one the ultimate in comfort and style, it will also aesthetically enhance any kitchen or dining room. Crafted with beauty and function in mind, the chair features a fashionable high-quality material playfully embroidered with monster motifs and supported by a durable, contoured seat. A removable safety bar keeps children safe throughout mealtime. Enjoy moments of bliss when you lay your child in this contemporary reimagining of the classic rocker. The instantly iconic chair, with a solid wooden base and sculpted shell, fits into any stylish home. Its seat becomes the foundation for rest, and its frame provides super-smooth rocking with hardly any effort. A cozy seat coaxes your child to dreamland while a soft harness comfortably cradles it during slumber. Insatiable joy for your child begins with the bouncer designed to fit your lifestyle. A resilient wooden base and sculpted plastic shell perfectly support any amount of bouncing your child can create – from the slow and rhythmic to the most erratic and boisterous. Seat and soft harness embrace your child, ensuring safety and comfort with every magical up and down – upright and recline position. These artful, exquisitely crafted hand puppet collectibles draw imagination and curiosity from every child. Stylish and playful, these monsters captivate, leading us on the most fantastical of journeys.